One vision – two brothers – five countries – eleven stages – 6,000 kilometres. Challenge “desert rally“ accepted! A nearly impossible mission becoming a reality for the two Austrian stage and film actors, Tobias Moretti and Gregor Bloéb. 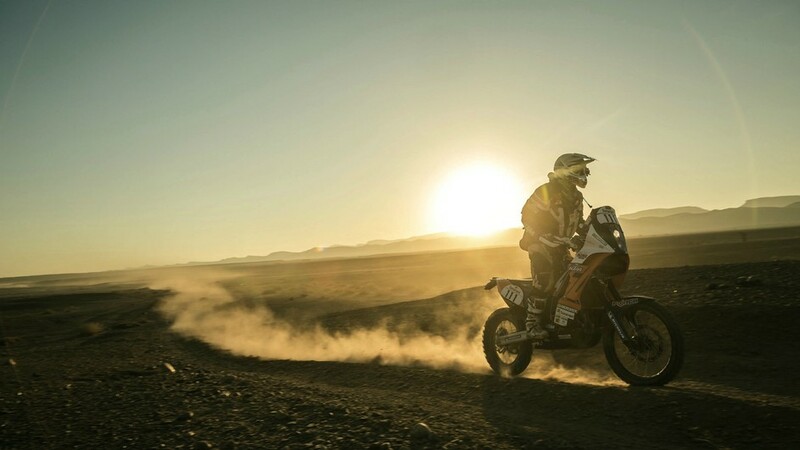 In ’Africa Race – Two Brothers between Paris and Dakar’ the two hobby motorcyclists plan to revive the original course of the legendary rally from Paris to Dakar. Their mutual friend and mentor, Heinz Kinigadner – himself a legend in motocross racing and experienced rally driver – will be there to support the two brothers wherever he can. Encouraged by Kinigadner the riders Moretti and Bloéb will push themselves to their physical and mental limits. But in the end, they will have to face over 6,000 kilometres of rocky desert, meter-high dunes and eleven stages by themselves..
’Africa Race – Two Brothers between Paris and Dakar’ presents us with intimate insights into the life of the two passionate hobby bikers and shows their willingness to relentlessly fight for their dream. The brothers are fearless when it comes to finishing the race. This extraordinary five-part factual documentary, produced by Terra Mater Factual Studios, accompanies the two actors, as well as mentor Heinz Kinigadner, from start to the finishline – from the very first exhausting training sessions to the bitter and long-desired end in Dakar. The result is a touching story about friendship, strength and family. We follow the racers on their journey, battling against the original rally route from Paris to Dakar. The spectacular desert backdrop presents a sharp contrast to the very different environment to which the tyrolean-born brothers are accustomed. ’Africa Race – Two Brothers between Paris and Dakar’ revolves around two brothers who risk everything to make their dreams come true, embarking on a journey that is not only a geographical one, but also a personal one of discovery.